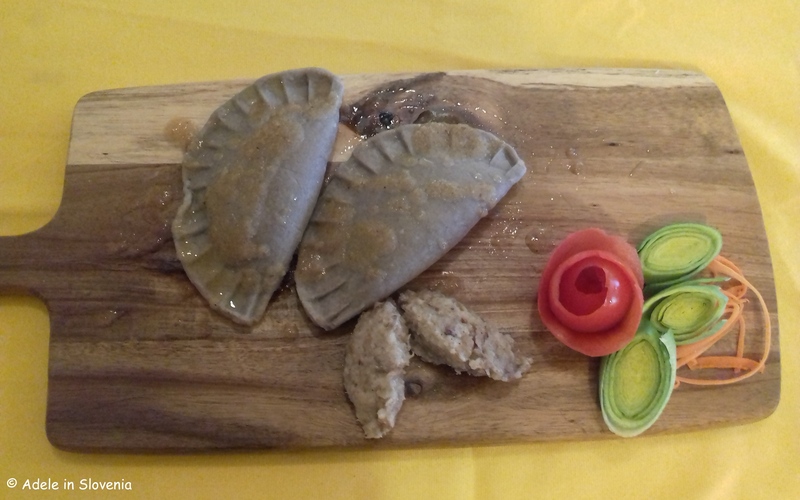 Gostilna Knafel: Dine with the stars…in Žirovnica! Through the years, the Žirovnica area has been home to numerous of Slovenia’s most well known talents. 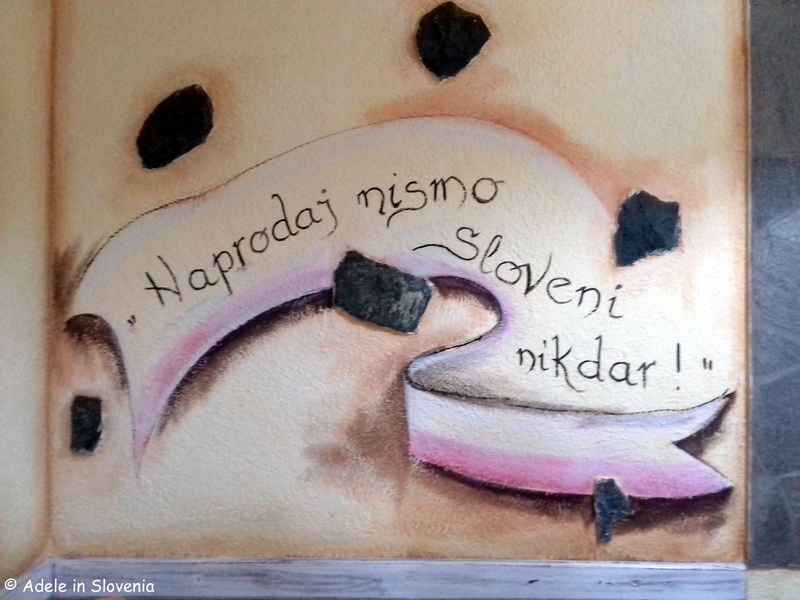 Of this, the most well known are the ‘famous five’ – Anton Janša, France Prešeren, Fran Saleški Finžgar, Janez Jalen and Matija Čop. 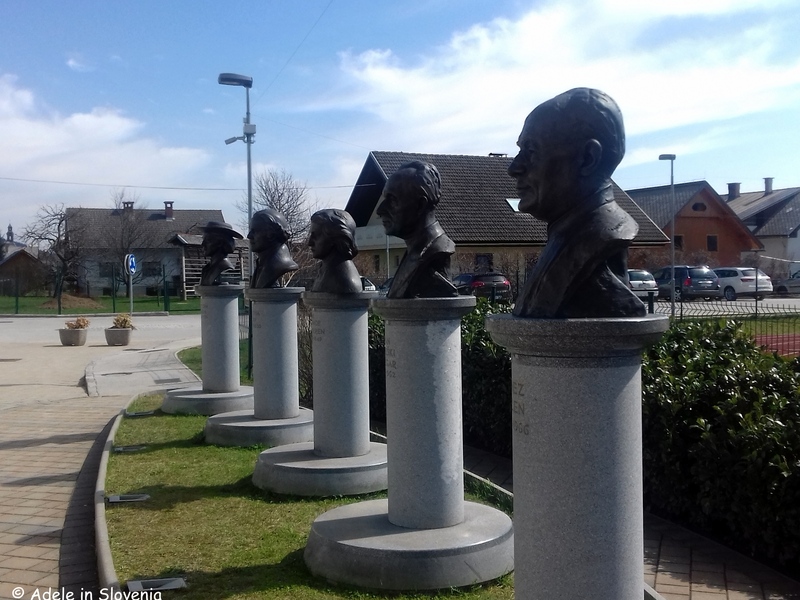 You can ‘meet’ these five by visiting their birth houses and also see bust statues of them outside the Žirovnica primary school at the Alley of Famous Men, which is part of the Žirovnica Path of Cultural Heritage. The Karavanke mountains form a backdrop to the villages and hamlets that form the Municipality of Žirovnica, and, on one of the first truly warm and sunny spring days this year, yesterday it was at last, after the long, bleak winter, time to get out exploring again- hooray! 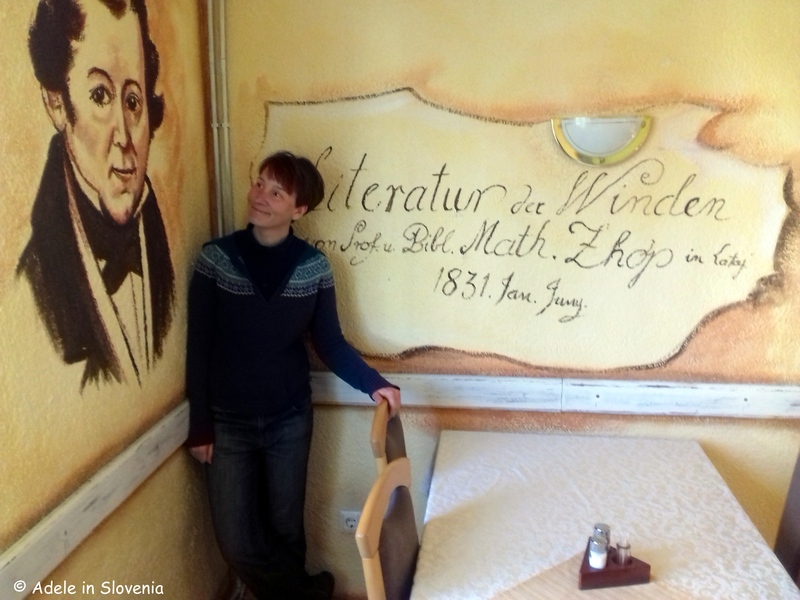 Then it was time to ‘dine with the stars‘ at the Gostilna Knafel restaurant, which is in close proximity to the Alley of Famous Men, where you can enjoy a hearty meal in the company of Žirovnica’s famous men! Depending where you choose to sit in the restaurant, you can ‘dine’ with one of them, or rather in the knowledge they are watching over you as you eat! France Prešeren (1800-1849), Slovenia’s most famous poet. 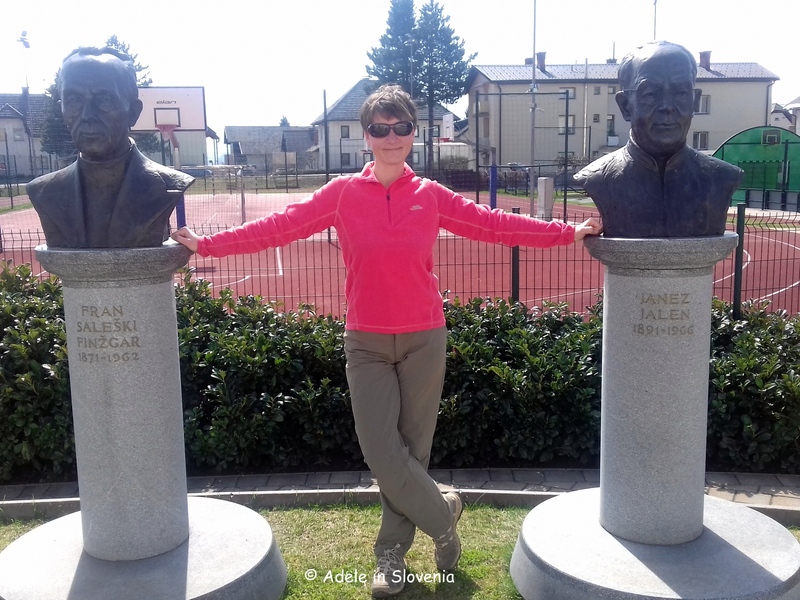 Anton Janša – Slovenia’s greatest beekeeper and the pioneer of modern apiculture. 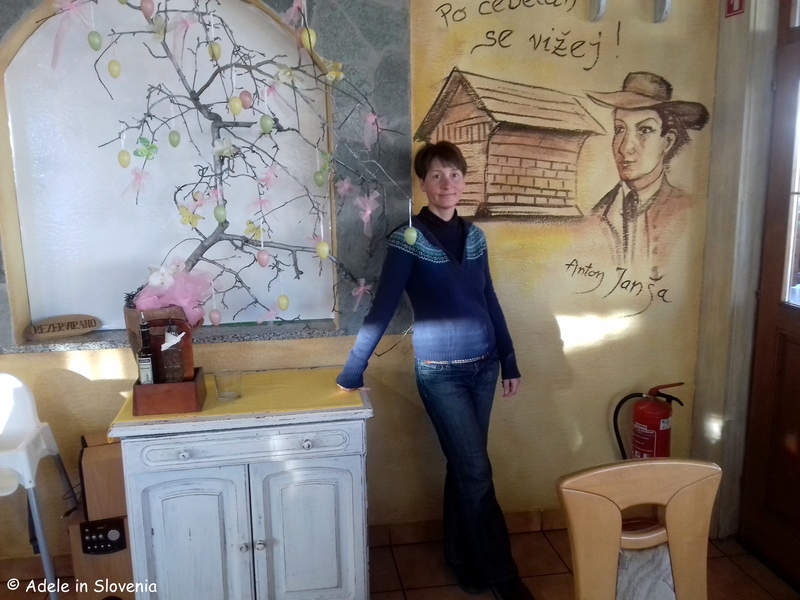 Not far from Gostilna Knafel you can also visit Anton Jansa’s apiary, which was reconstructed in 2017. 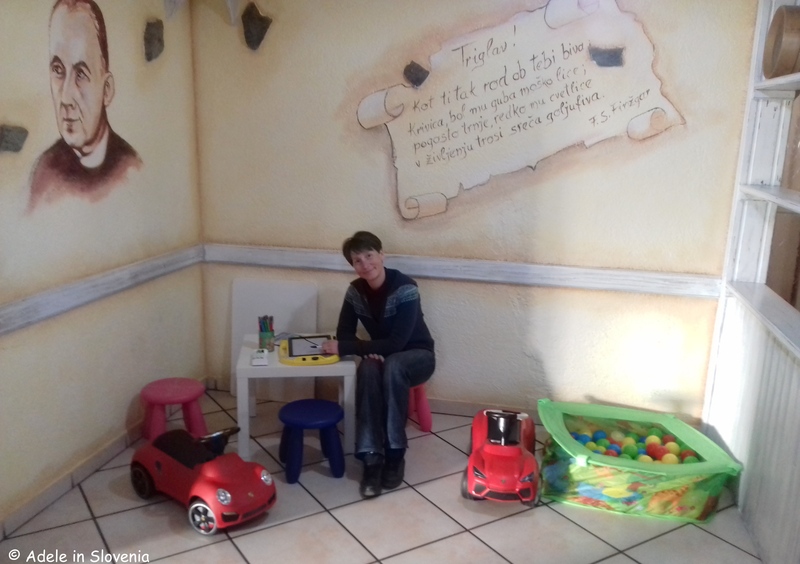 There’s a kid’s corner, where Fran Saležki Finžgar keeps a watchful eye! 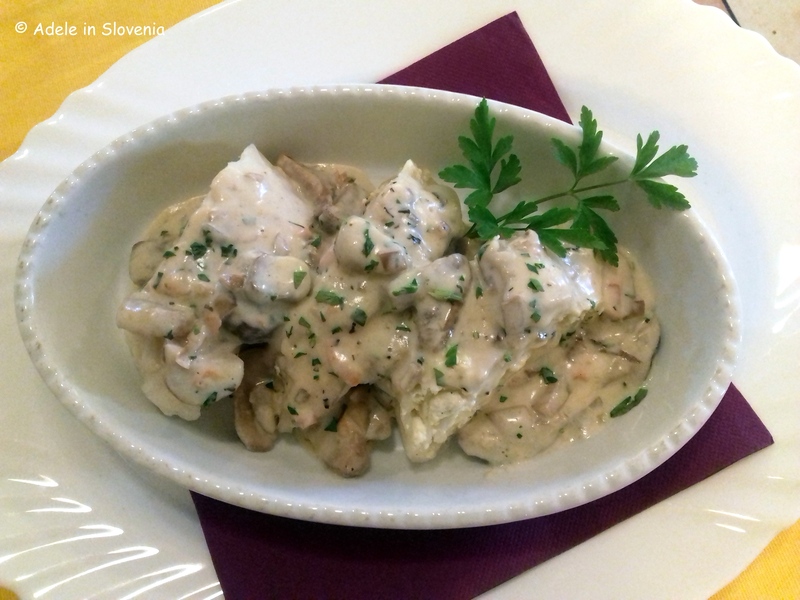 One of my favourite Slovenian foods is štruklji, so I was spoilt for choice with homemade savoury štruklji (a light dough filled and rolled like a swiss roll) with a porcini mushroom sauce. 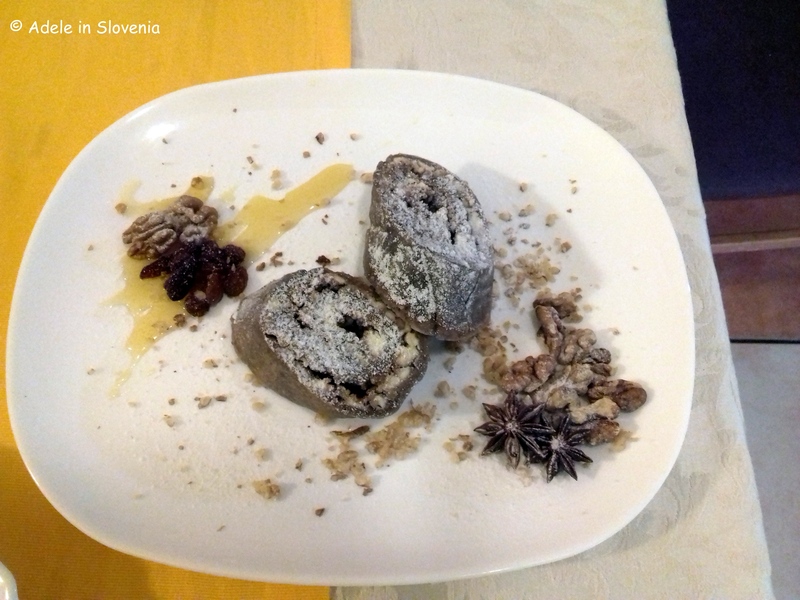 As well as sweet buckwheat štruklji with curd cheese, honey and walnuts. 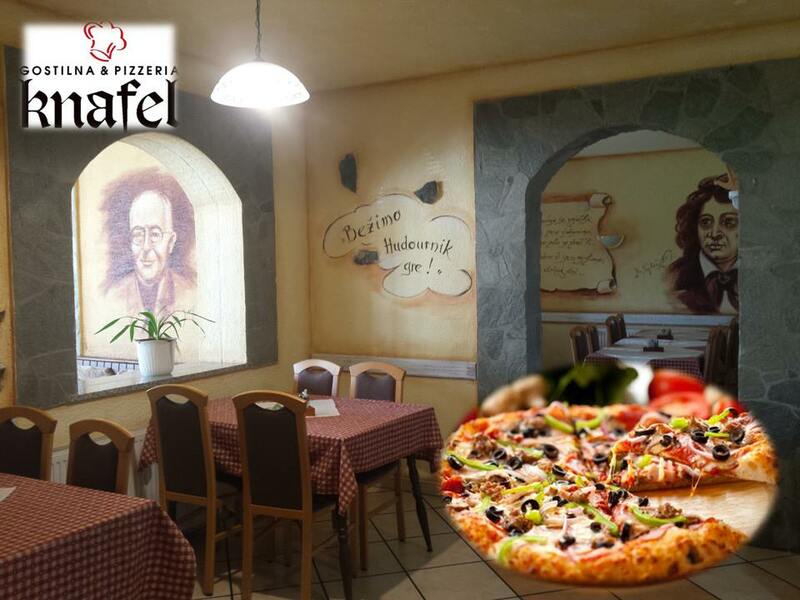 There is also a full a-la-carte menu, daily malice (light lunches from Mon-Fri), and pizzas – something for every taste! 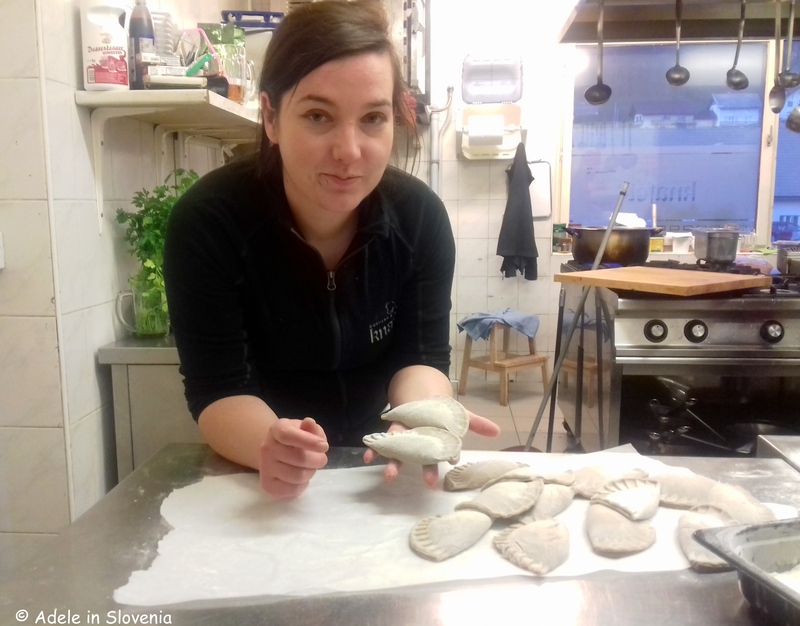 The Visit Žirovnica website has more information about Gostilna Knafel and the other food and beverage outlets in the Žirovnica area, which I am looking forward to getting more acquainted with – and tasting too, of course!